The Venue was The Blue Frog at Mehrauli a pilgrimage for the Indibloggers on the hot Sunday afternoon in New Delhi yesterday 14 Apr. Till the previous day I was in two minds to travel all the way but one SMS from a blog friend Anukriti changed it all. I had never met any of the friends, I had earned in my last one and a half year of foray into the brave new world of the blogs. An hour long journey by metro was preferable to drive in the soaring mercury of Delhi’s unbearable heat. The time flew in company of this wonderful friend as we arrived the venue 20 minutes ahead of the schedule, opposite the historic iconic Qutab Minar. A Literary meet at Madhushala( A Liquor bar)!! Goodies were doled out by the organizers Microsoft and Indiblogger in form of surprise gifts ranging from Blue Tooth Mouse, Cash Vouchers and even a kiss from the Organizer! ( though there were no takers for the same)! The afternoon rolled on with a marketing blitz from Microsoft promoting Office 365 singing paeans of the special features especially for bloggers like Cloud Computing and backup, Parallel editing feature and synchronizing and updating their blogs, be it on their domain names, Blogger or Wordpress! The interactive session was interesting with questions being hurled from the audience. The only thing that came between the beer and eats now, was a session from the Airtel , the cosponsors with Microsoft. The team tried to hard sell the special plan for the entrepreneur promising them of best offer which would cost no more than three movies a month or equivalent to eating a burger at McDonalds every day. While Airtel tried to woo the customers the connectivity of their network behaved erratically akin to an aircraft hitting the airpocket every now and then making the ride bumpy. During the Beer Break many of the attendees tried desperately to grab the ‘veggie dishes’ due to the ongoing ‘Navratras’( Nine days when even die hard non vegetarians turn to eating grass). The sponsors arranged a few games to test the brawn of the youngsters to make them do sit ups and push ups to earn ‘cash vouchers’. The time was perfect to network with dozens of bloggers and exchange their blog IDs and relate to the names which one just otherwise saw in the written media! Post break out session, the Blue Tooth network became ‘Live’ and the organizers asked participants to send out tweets about the features of Microsoft Office 365 which impressed them most, to judge the best ones on the spot for awards. 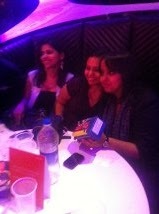 Anukriti walked away with the enviable prize of ‘Nokia Lumia 820’ Smartphone, for the best tweet. It was a fitting finale to bring down the curtains to the lovely event. 2. 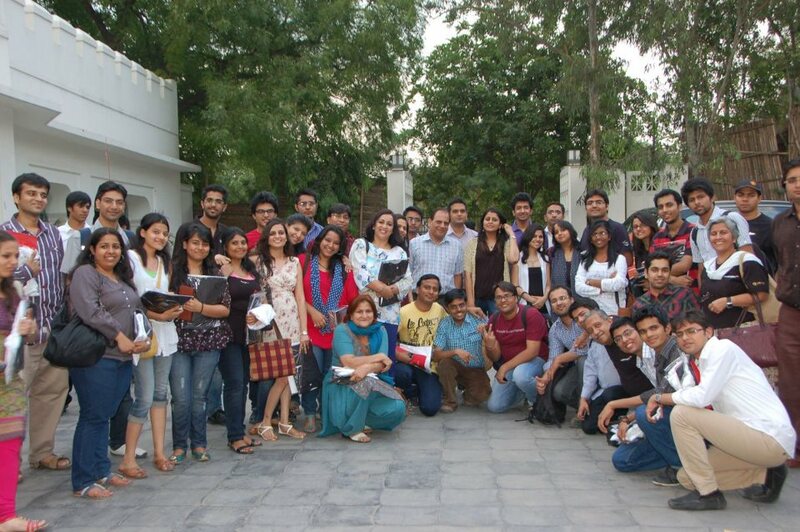 The event was a memorable one in meeting so many young and experienced bloggers whose names would need another post . It was lovely meeting you :) Indiblogger meets are so much fun in-spite of the promotions and boring presentations, which are inevitable. Happy you liked the new term Akanksha! 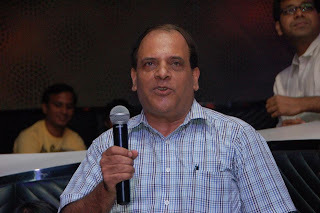 It was good to see the face behind the creative 'Direct Dil Se" . It was a great pleasure to meet you and am sincerley thankful for being so kind to motivate me for the next meet! Will surely try to make it! Very interesting Blog Leela.Meeting friends, who one knows only through their blogs, must be a very exciting experience. It was a nice experience to meet so many talented peopke Ushaji! Looks like you had a nice time Rahul. It seems that you had a great time Rahul, I am so happy for you! Thanks a lot Francesca! It was a lovely event! :) I would like to meet fellow bloggers. It is indeed nice to meet fellow bloggers and see them in person, Shreya! Hope you are able to attend one in Bangalore soon! Wow! Sounds like some real fun you all had! I am yet to attend a bloggers meet! Shilpa, Jaipur is an awesome place and holds bigger events where the writers come from world for attending meets!May be you should travel to Delhi sometime to attend an Indiblogger meet which has lesser known people:)Look forward to meet you sometime! Just when I leave Gurgaon, Indiblogger decides to host their meet at Blue Frog. I just turned green with envy. Hi Rahul, this sounds like a truly interesting and enlightening event, so great to mingle with and learn from other bloggers, would have liked to hear your speech! i would love to attend something similar here. Thanks for taking the time to stop by, hope your day is going well! What a fun day and how nice to meet like-minded people. Hope you get to attend one... it is fun! Great that you enjoyed! Thanks for sharing your experience Sir! Great one and so quick Sir... bloggercroak.. very aptly put.. It was fun to have you around and share the same enthusiasm as us.. The mention about food....Veggies dishes... the scarcity...it has brought back memories...the tray-fuls we grabbed and gobbled. Blog Leela sounds wonderful. Its great to finally meet our blog buddies in person. I am sure you would have enjoyed yourself a lot, Rahul. Thanks Zuzana! It was great to meet fellow blogger :) Have a lovely weekend too! Looks like it was a whole lot of fun. 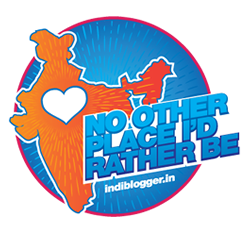 Can't wait to attend an Indiblogger meet!